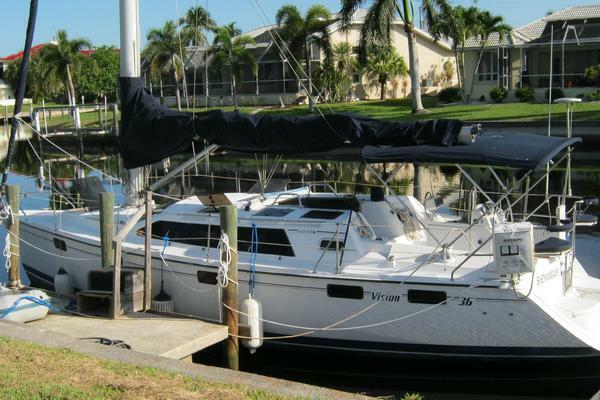 This beautiful 41 ft Beneteau, Platinum Edition, is lightly used and professionally managed in a fresh-water environment.Her enormous, shaded cockpit allows for entertaining numerous guests.She features dual-helm controls, with bow thruster for ease in docking.Her shoal draft (5ft 1 inch) is ideal for shallow water cruising and great anchorages. And yes, her stern drops to create a fantastic swim platform and lifts with the push of a button.Her luxurious air conditioned interior features 3-cabins and 2-heads and a galley with both lift-up freezer and front-loading refrigerator.Her microwave discretely stored in a galley cabinet, ready for use. United Yacht Sales New Jersey would love to guide you through a personal showing of this 41' Beneteau Oceanis 41 2015. This yacht for sale is located in Austin, Texas and priced at $220,000. For a showing please contact us by filling out the form on this page and we will get back to you shortly! Manufacturer Provided DescriptionIt’s much easier when you have a firm grasp of the fundamentals, and Beneteau has had that form grasp for over 130 years. In that time, Beneteau has created then recreated a hull of unrivaled quickness and agility that you see today in the Oceanis 41, 45 and 48.Designed by naval architects Finot-Conq and Associates, the Oceanis 41 has a sleek low profile cabin with long coachroof windows and a continuous chine over the length of the boat. Major highlights of this Oceanis include a luminous interior plus an ingenious full width, electrically operated transom enclosure that provides easy access to the sea. On deck the maximum beam of the Oceanis 41 practically extends from midship to stern. This design allows the 41 to have a huge cockpit and also two good-sized cabins in the stern quarters as well as an engine room and a head.ElectronicsRadioAutopilotCockpit speakersCompassWind speed and directionVHFGPSLog-speedometerDepthsounderNavigation centerElectrical EquipmentShore power inletInverterCoversCoversSails & RiggingFurling genoaFurling mainsailManufacturer's Provided DescriptionDesigned by naval architects Finot-Conq and Associates, the Oceanis 41 has a sleek low profile cabin with long coach roof windows and a continuous chine over the length of the boat.Major highlights of this Oceanis include a luminous interior plus an ingenious full width, electrically operated transom enclosure that provides easy access to the sea.On deck the maximum beam of the Oceanis 41 practically extends from midship to stern.This design allows the 41 to have a huge cockpit and also two good-sized cabins in the stern quarters as well as an engine room and a head.